You already know by now that we love Enjoy Life Foods products in our home, and I'm excited to tell you about their Oven Baked Chewy Bars. There are four different flavors; Sunbutter Crunch, Very Berry, Cocoa Loco, and Caramel Apple. I have been so pleasantly surprised and in love with these bars. I have tried gluten free bars before, and these are nothing like them, they are much better and allergy friendly. My son tried the Cocoa Loco flavor and loves them, he asks for it all day long as if a child asking for candy. They are perfect in size, only 1oz bars to help with portion control. As I've mentioned before in my previous post, my son is always hesitant to try new foods, so he has yet to give the other flavors a try. He has been carrying them around in his pockets, everywhere so "no one else eats them." LOL, his words not mine. 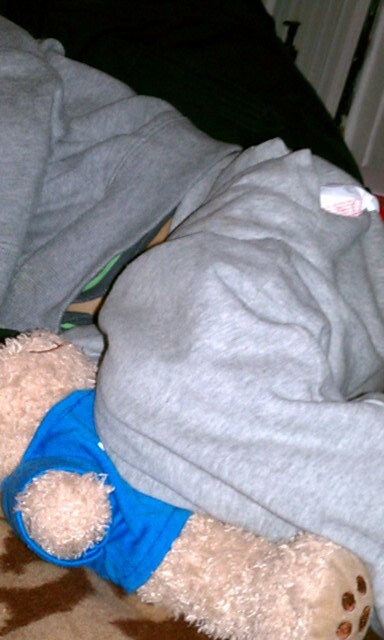 :) At one point he fell asleep with them in his pocket, so I snapped a picture. I had family over and we all took the liberty to trying all of the flavors and love them all, if I had to pick a favorite it would be Very Berry, but really they are all great!! 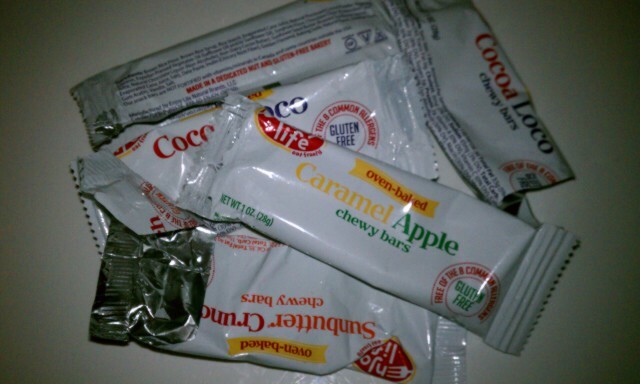 I don't know of any bars this good that are allergy friendly, it means the world to me to have found something like this to give my son and everyone on the go. You can find the ingredients to all their products by visiting their site. They are packed with flavor, but none overwhelming, perfectly portioned and everyone can enjoy them! :) Absolutely my personal favorite product from Enjoy Life Foods so far, and I love them all. Gluten free and allergy friendly. Free of all top eight allergens: wheat, dairy, peanuts, tree nuts, egg, soy, fish, and shellfish. And most products are also free of potatoes, sesame, sulfites, and casein. No artificial ingredients, trans fats, or genetically modified (GMO) ingredients. Here comes the best part, one of YOU could win a box of each of the four flavors for yourself!! Enter below by following the easy step by step instructions, wait for Rafflecopter to load up. :) Good Luck! !